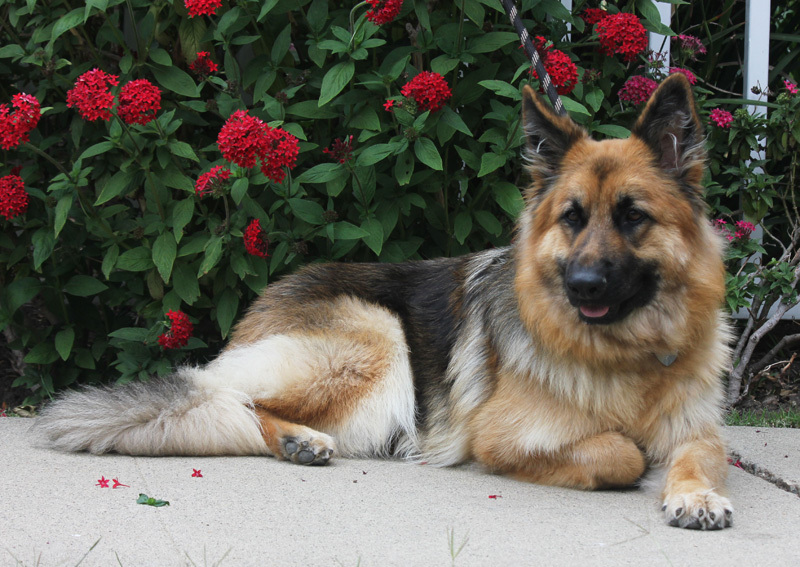 Cheyenne von Churwalden is a stunning 18 month old long haired German Shepherd. 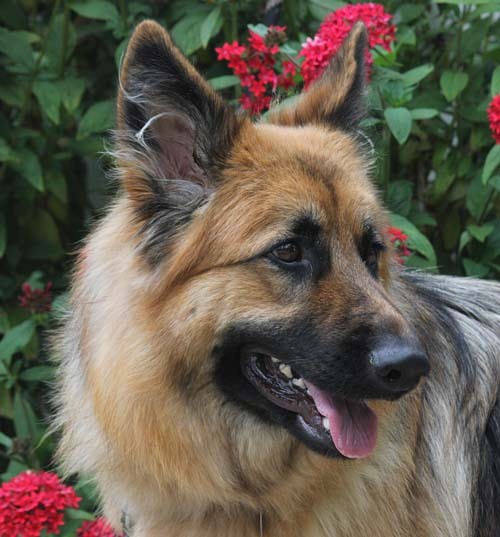 She would make a great family dog, she does well meeting new people, she has loved the grandchildren who have come to visit her foster parents. She can play ball endlessly with kids and bring the ball right back. Cheyenne doesn’t even mind little fingers in her dog food. 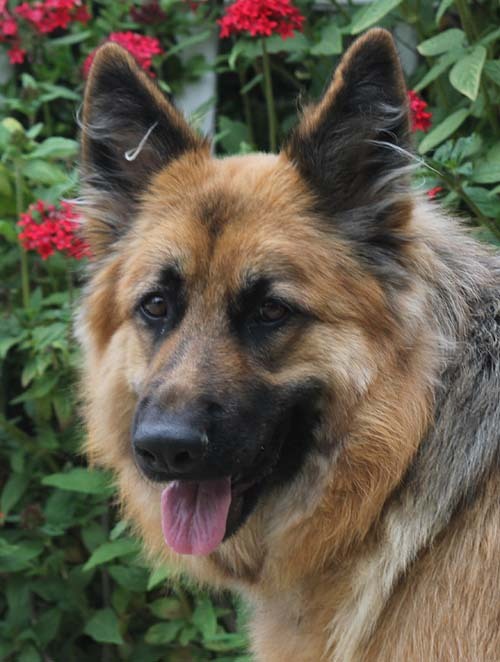 She would love a home with some property and squirrels to chance and a few kids. 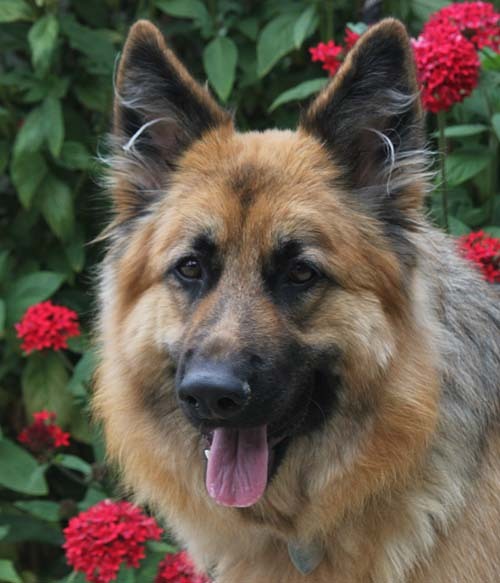 Cheyenne loves to play with the gentle male in the foster family. She also loves to go for rides, she jumps in the back of the station wagon and is so quiet, it is hard to remember she is there. 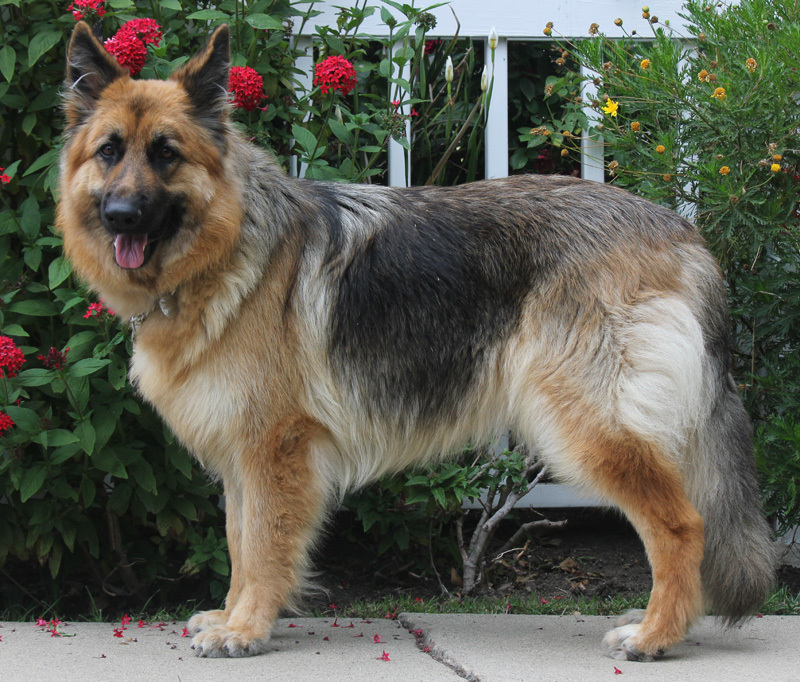 Cheyenne is a very happy dogs, loves to play, but settles right down in the office if her foster mom needs to work. 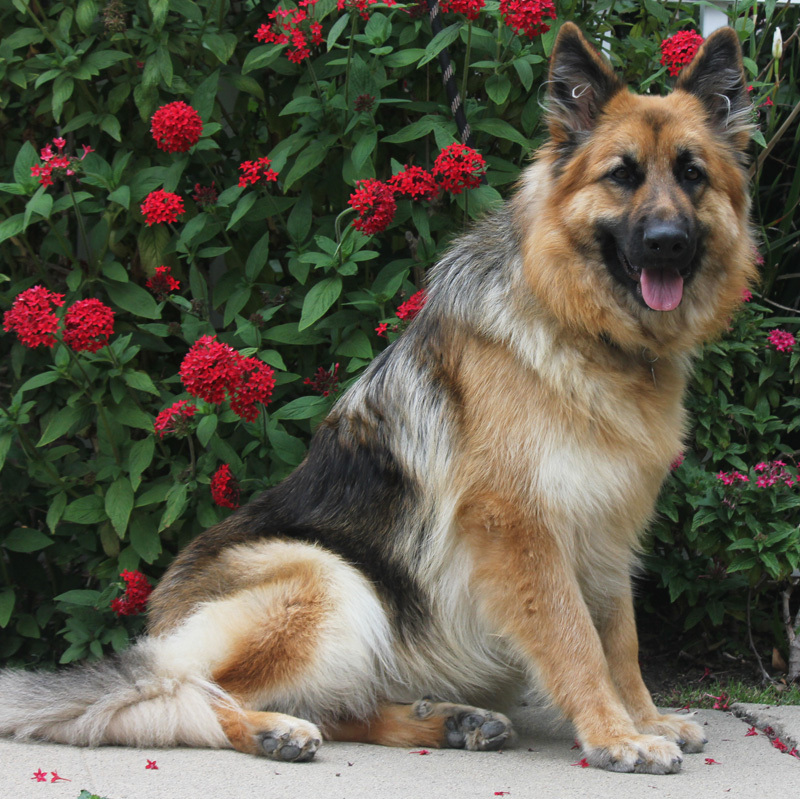 She loves her daily walks, she loves to run and has the most beautiful gait like she is floating in the air.